Leadership Isn't For Cowards offers straightforward steps to leading courageously and practical tips for driving performance. Courageous leadership means toughening your approach by being rigorous in the application of your values through the company culture. It means confronting and challenging people, and not letting them get away with being less than you know they can be. 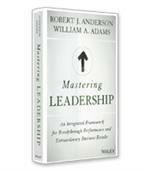 According to leadership consultant Mike Staver, the first thing that leaders must understand is that as leaders, they are "messing with people’s lives!" 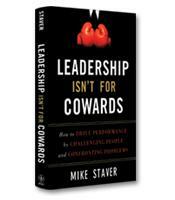 Unfortunately, Staver writes in his book, Leadership Isn’t for Cowards, "most leaders do not start with that knowledge." Leaders, he explains, are often focused on "operational plans, goal setting, revenue and sales forecasts, cash flow, HR compliance, and the magical bottom line." The item of utmost importance, however, is how a leader influences others. Staver emphasizes that the term "influence" is not just about having an impact on what subordinates accomplish in the workplace. As a leader, he warns, you now occupy the thoughts of those you lead; everything you do or say, or don’t do or don’t say, will be scrutinized, evaluated and commented on. Taking on the vast responsibility inherent in leadership, Staver writes, requires the courage to achieve the results required while never losing sight of the human impact you are having. It requires the courage to create an environment that is both positive and demanding. It requires the courage to not let circumstances take away your control and also to be self-aware of your own negative or unproductive behavior. Accept Your Circumstances. Be realistic about the circumstances and situation that you face and your own strengths and weaknesses. Take Action. Leaders are ready to take action but not reckless. They know how to analyze and prepare for action effectively. Take Responsibility. Courageous leaders take personal responsibility but also encourage and develop a sense of responsibility in their followers. Acknowledge Progress. 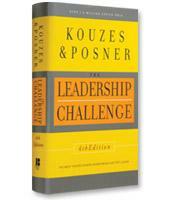 This leadership behavior is easy to understand in theory but, according to Staver, difficult to apply effectively. Commit to New Habits. The difference between ineffective leaders and great leaders is a commitment to new habits and strategies. As with responsibility, the goal here is to develop yourself as a leader as well as your followers. Kindle. Finally, Staver believes that leaders must give "new life" to themselves and those they lead — they must build in people the passion to accomplish more. While all or most of the individual components of the ATTACK framework may be familiar to readers of leadership books, Staver’s framework is compelling for a number of reasons. First, it identifies and prioritizes the core issues on which leaders — especially inexperienced leaders — need to focus. The framework is also specific and practical. Each of the six sections covering the ATTACK topic areas includes four or five chapters that take the reader step-by-step through the issue in question. In addition, each of those chapters ends with a list of five ideas or steps to apply the core lesson of the chapter, as well as an online reference to a worksheet for that chapter. For example, "Taking Responsibility" begins with a chapter on the leader’s imperative to accept responsibility. Staver offers a specific verbal phrase for accepting responsibility that includes: 1) an unqualified acknowledgment of the leader’s role in the problem; 2) an unequivocal apology; and 3) a specific and detailed commitment to change his or her behavior. In the subsequent responsibility chapters, Staver discusses (among other ideas) the destructiveness of blame; the vital importance of demanding, in a positive and constructive manner, responsibility from your followers; and how to remove the obstacles that impede responsibility. Building on his extensive experience working with major organizations, Staver’s advice is never simplistic and often counterintuitive. In the section on accepting your?circumstances, for example, Staver warns against destructive denial — but also encourages constructive denial. With Leadership Isn’t for Cowards, Staver offers a well-organized leadership manual that is insightful, practical and balanced. For even more book reviews delivered to you every month, click here to sign up for our free Executive Book Alert newsletter.